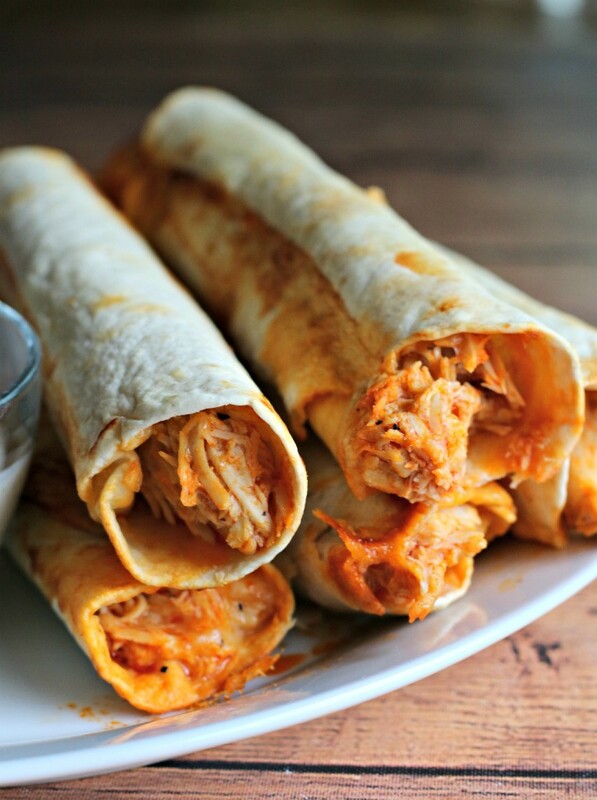 I made a perfect party appetizer, Slow Cooker Cheesy Buffalo Chicken Flautas. 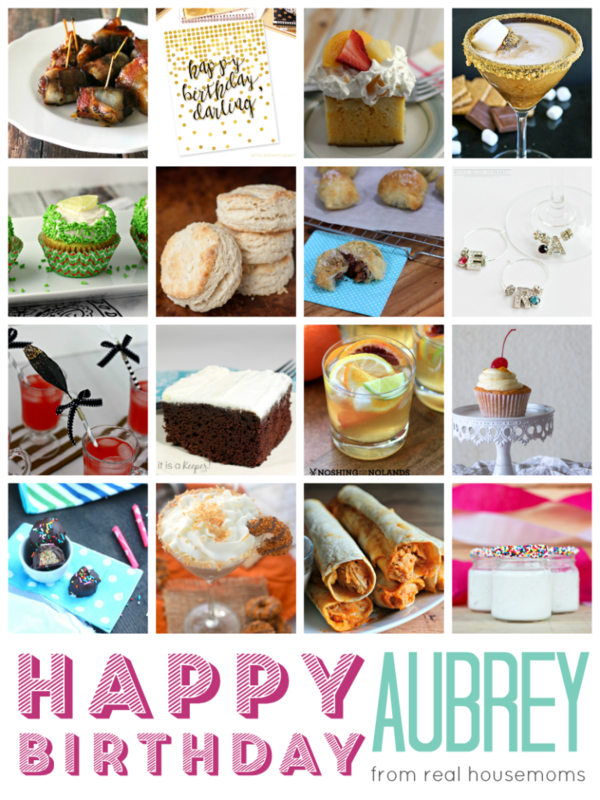 It is a friend’s Birthday today, Aubrey from Real Housmoms. A group of us friends are throwing Aubrey a virtual birthday party since we all live so far away. 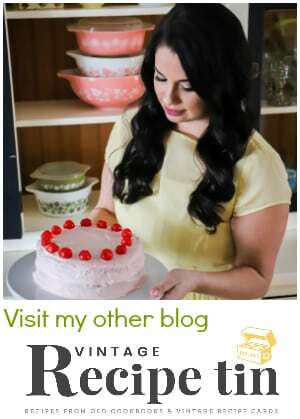 If you scroll past my recipe, you can see what everyone else has made, all of the other party ideas are really awesome! I made buffalo chicken in the slow cooker. Wrapped it up that buffalo chicken in tortillas with mozzarella cheese, rolled them up, basted them with butter and baked them. These ooey gooey crisp and delicious flautas are really good dipped in ranch or blue cheese dressing. 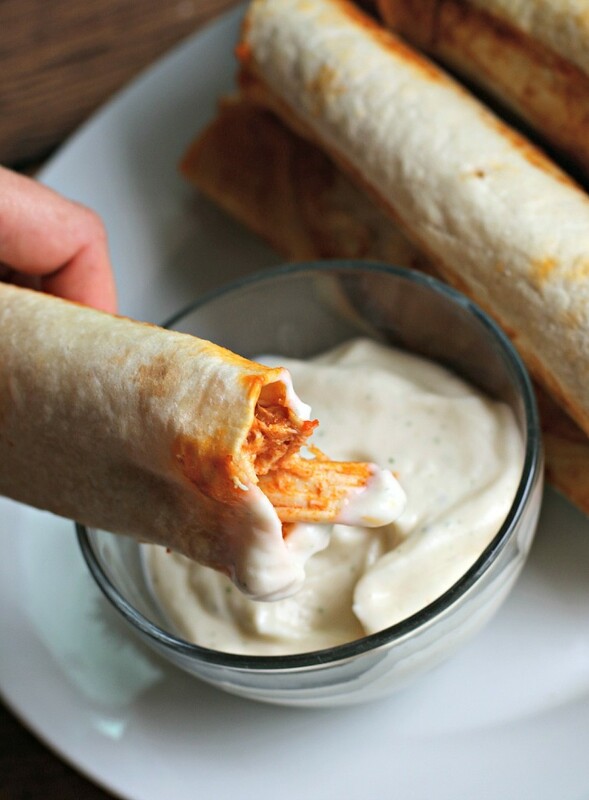 If you are a fan of buffalo sauce, you will love these! Happy Birthday Aubrey! I hope it’s a great one! 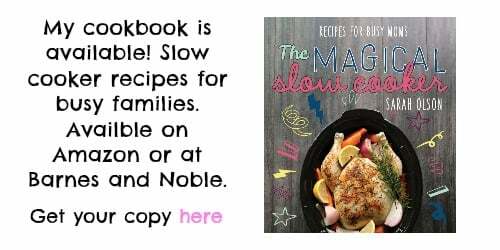 Place the chicken into a 4-quart or larger slow cooker. 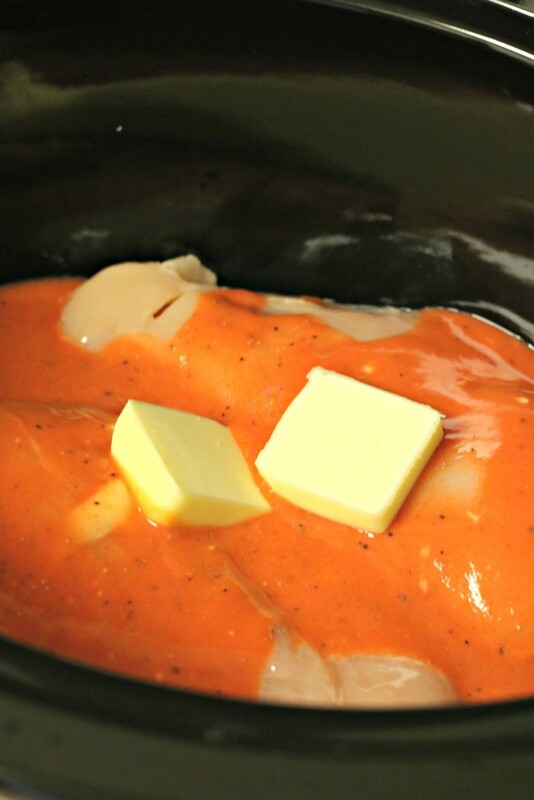 In a small bowl, whisk together the buffalo sauce, cornstarch and pepper. Pour this mixture over the chicken. Cut the butter into 2 pieces and place on top of chicken. Use tongs to get the chicken out of the slow cooker, tap the tongs on the side of the slow cooker to get the excess sauce off the chicken. 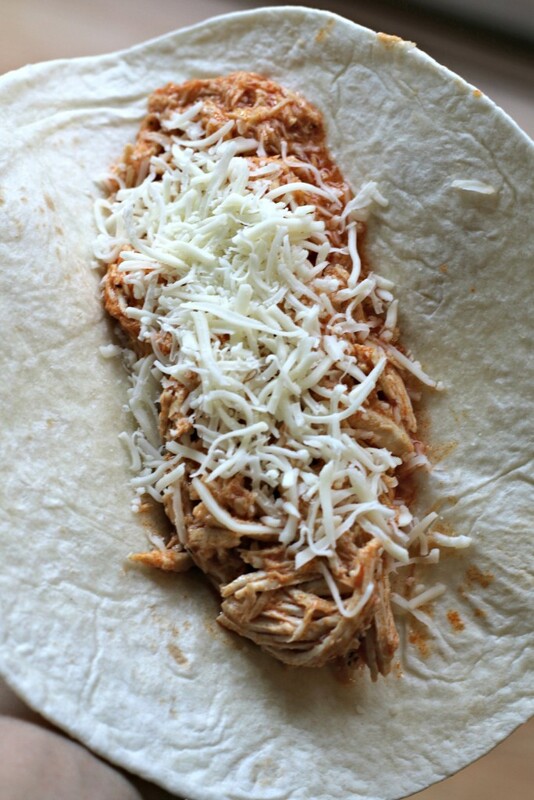 Place about a ½ cup of chicken into each tortilla and top with a heaping ⅛ cup of cheese. Roll up the tortillas around the filling and secure with a toothpick. Note- If your tortillas start to crack while rolling them up. Wrap them in moist paper towels (before filling them) and microwave for 25 seconds. 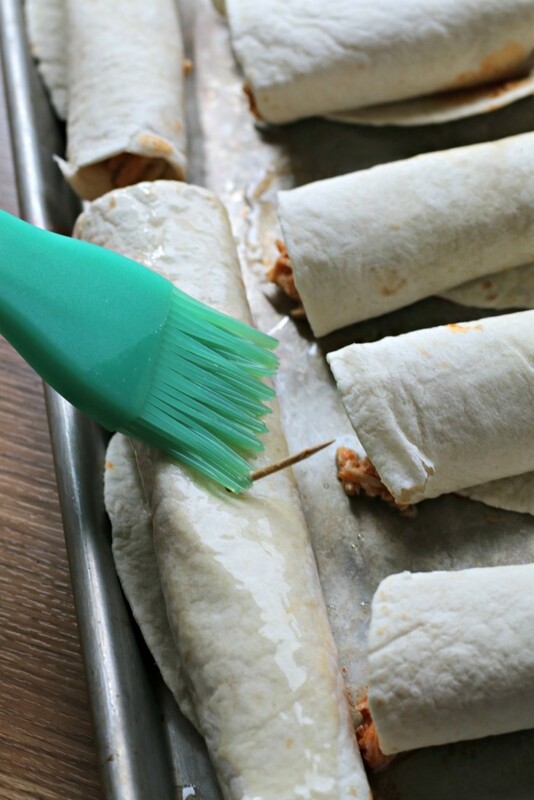 Place the flautas onto a baking pan that has been sprayed with non-stick cooking spray. Baste the flautas with the melted butter. Cook the flautas for about 7 minutes, flipping once, and cooking for an additional 7 minutes or until golden brown. Mexican food is a HUGE favorite of mine! And buffalo chicken is pretty rockin’, too, so I am LOVING this combination, girl! You did make a perfect party appetizer, I love this recipe and have to try it soon!! What a yummy idea Sarah! I’m down for buffalo anything! I need these in my life! They are going on my meal plan! What a great idea to have a virtual birthday party! Love your flautas — with some guacamole on the side — Yum! mmmmm oh my I love flautas! these must be amazing! Too cool!!! It’s 6:30 in the morning and I’m ready to chomp on one of those! YES! 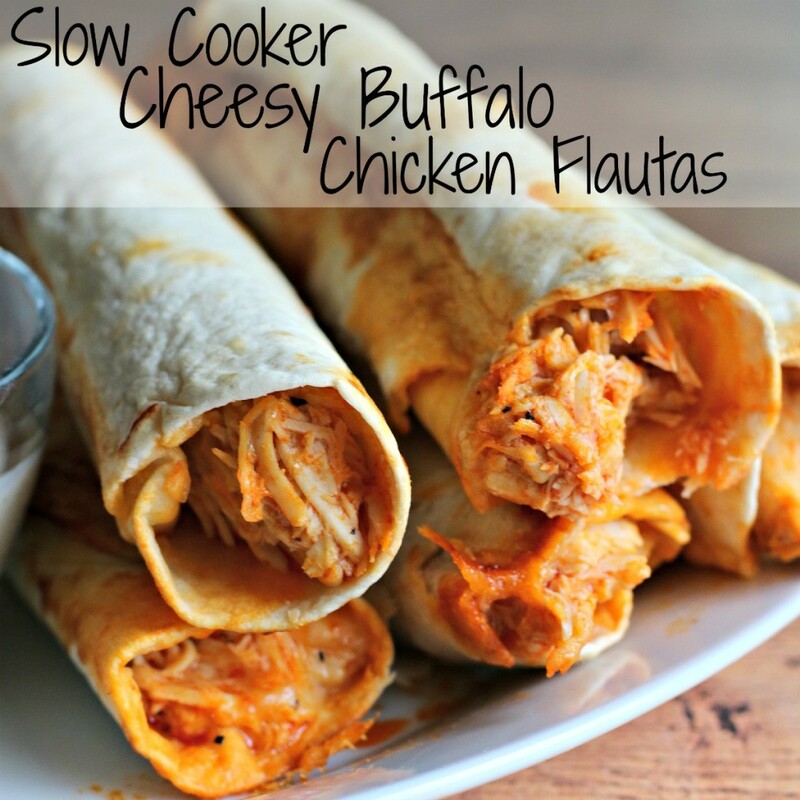 We love buffalo chicken in this house, and I love anything I can make in my slow cooker, so perfect! 😉 Looks delicious! I am making these as soon as possible! they look delicious! Great party food to celebrate with! I love that your finish these in the oven for a light crispy tortilla! These look SO good, Sarah! Perfect party food! Mexican is my favorite, so I know I’d love these! 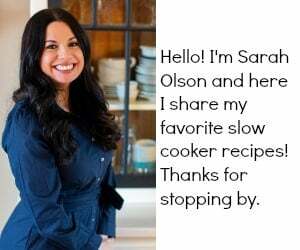 Such a great recipe, Sarah! You had me at Buffalo Chicken! 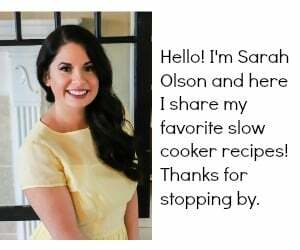 Loving this recipe, Sarah, and can’t wait to give it a try!